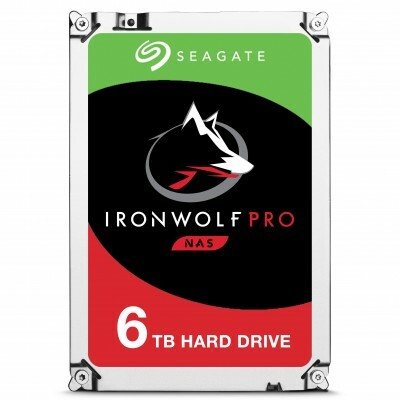 For everything NAS, thereâ€™s IronWolf and IronWolf Pro. Always on and always working, IronWolf is enhanced with AgileArray technology for optimal reliability and system agility. Multi-user technology and extreme workload rates allow IronWolf to perform and scale up with your enterprise. Do more with your NAS with multi-user optimisation. Enabling user workloads of up to 180 TB/year on IronWolf and 300 TB/year with IronWolf Pro, multiple users can confidently upload and download data to a NAS server. Whether youâ€™re a creative pro or a small business, IronWolf is on your side. Extensible and reliable storage helps keep you and your creative business on schedule. IronWolf and IronWolf Pro are great companions for your NAS for 24Ã—7 remote access, backups and file sharing from anywhere, making sharing ideas easy. For growing agencies and the need for more storage, IronWolf and IronWolf Pro are built to address NAS scalability challenges. A thriving small business needs storage that can thrive with it. IronWolf is optimised for NAS in multi-RAID environments that not only the vibration, but also handle the high user workload rate in a high data traffic network. Enter multi-user technology â€” up to 180 TB/yr for IronWolf, up to 300 TB/yr for IronWolf Pro.